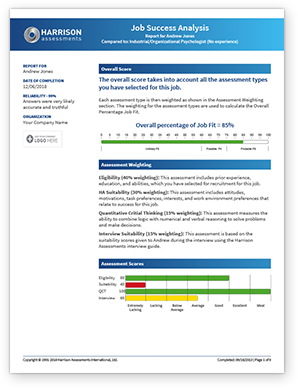 Harrison's employment assessments provides more than 6500 proven and pre-configured Job Success Formulas to help your organization easily and accurately predict job success. 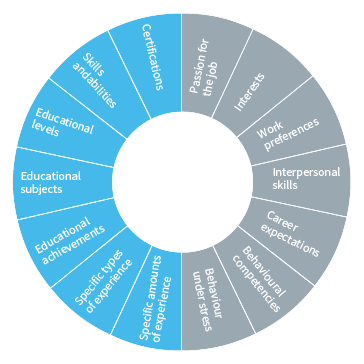 Each formula identifies and measures the qualifications (eligibility) and behavioural requirements (suitability) needed to succeed in the job. JSFs identify people who are both eligible and suitable.